We are very pleased that you have entrusted smartphoto to develop your photos! Great news - you have now earned points for your next smartbonus. Through our loyalty program "smartbonus" you will receive a BONUS VOUCHER every quarter based on your purchases in the last three months. With the bonus you can buy the products of your choice at smartphoto.co.uk! How much will my next smartbonus be? Are you curious about how many points you’ve earned on your purchases over the past few months and how much your bonus voucher will be? 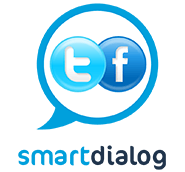 Simply log in to your account, go to My smartphoto and click on smartbonus. There you will find the status of your bonus points and you can also see when you will receive your next bonus voucher. How do I retrieve my smartbonus? 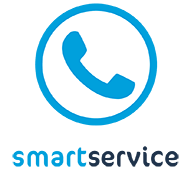 Create an account on smartphoto.co.uk and subscribe to our newsletter in order to receive your smartbonus via email. 2. 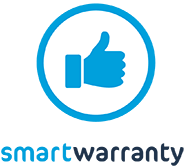 Earn smartbonus on everything you purchase at smartphoto.co.uk! Every order you place counts and earns you points towards your bonus voucher. 3. When will I receive my next bonus voucher? Every three months we will send you an email with your smartbonus. This bonus is calculated on the total value of your orders in the last 3 months. You can use your bonus in the next 6 weeks by entering your smartbonus code in the shopping cart. You'll also find your smart bonus in your account under "My smartphoto". Smartbonus - when will your bonus voucher be sent? Orders made in January, February and March - You will receive your smartbonus on the first week day in April. Orders made in April, May and June - You will receive your smartbonus on the first week day in July. Orders made in July, August and September - You will receive your smartbonus on the first week day in October. Orders made in October, November and December – You will receive your smartbonus on the first week day in January. 4. How long is my bonus voucher valid? Your smartbonus is valid for 6 weeks after receiving your bonus voucher. If you want to use your bonus at your next order, you must manually enter your bonus code in your shopping cart (the bonus code can be found in your smartbonus email). Between 1st and 31st of January, you make one or more orders at smartphoto.co.uk. You pay a total amount of £60 for the orders. The first week day in April, you will receive an e-mail with your bonus voucher of £7,5 to order products of your choice at smartphoto.co.uk. smartbonus - staying with us is rewarding. Earn smartbonus on everything you purchase at smartphoto.co.uk!